Ask Our Corporate Recruiter: How Can I Make Myself More Employable as a New Graduate? Should I put my GPA on my resume? Should I mention my part-time job throughout high school and/or college? “For high school jobs, that truly depends on the length of employment and the types of roles you were in. For example, if you had six part-time jobs in four years at high school, I would only note the most recent. How can I get connected with more professionals in my industry for job prospects? How can I make up for my lack of professional experience? 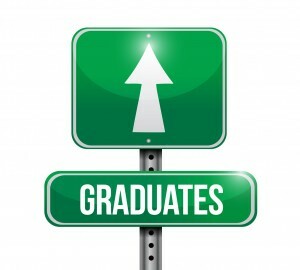 What is the number one thing you’d like all new grads to remember when job searching? “One thing that most entry-level candidates fail to do is really figure out what they want out of a career. I would say that this happens in 99 percent of initial calls I make to candidates. This covers all majors, as well. Recent grads tend to open themselves up to ‘anything’ and relate what they want in a career to what they want in a company to work for post-graduation. Best of luck to all new graduates! Have additional insight for career-seeking graduates? Leave a comment! This entry was posted in Job Seekers and tagged Millennials, new grad advice, new grad tips, post grad job search, Post Grad Jobs. Bookmark the permalink.